Didn’t Sky news just make a big fuss about being the first to broadcast from the bottom of the ocean and lots of boring drivel about saving the planet? 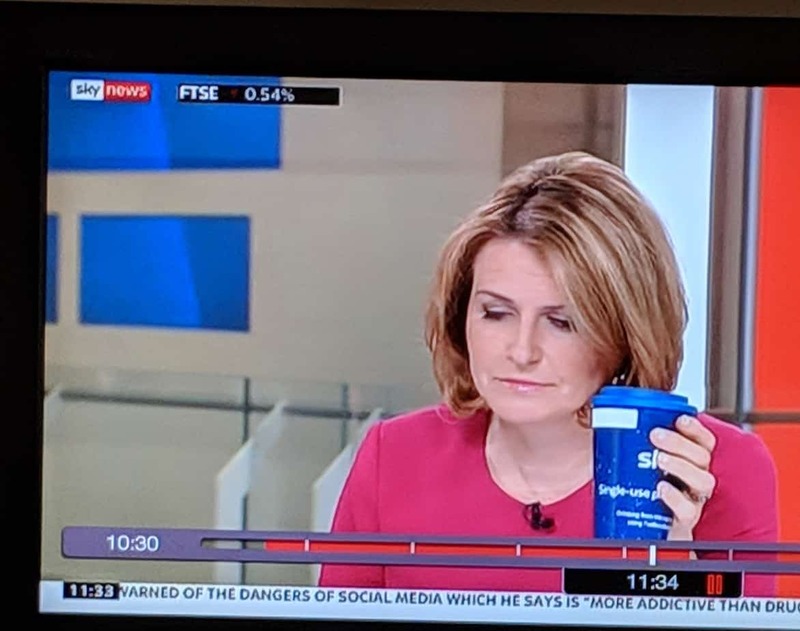 Would that be including doing away with SKY branded disposable cups because they couldn’t possibly wash a cup in the studio? Lazy media buggers! PRACTICE WHAT YOU PREACH!! !